If you’re attending IMTS, make plans to visit HIS at Booth 135952. Stop by to see our industry leading industrial monitors and touch screens – the perfect solution for any industrial application. Our high quality industrial displays and other workstation components are available in 3rd-party certified NEMA 4/4X configurations and built for long-term reliability. All products are supported by a 3-year warranty, 30 day total satisfaction guarantee, and industry leading service and support. For a complimentary admission voucher to IMTS, click here and follow the below instructions. 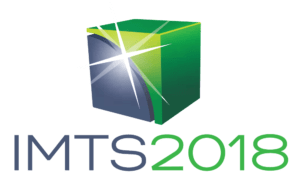 If you have attended IMTS in the past, please enter your name and email, click on the “Search for Alumni” button, confirm your information and finalize your registration. We’ll see you at the show! If this is your first time attending, click on the “Skip Lookup” button in the middle of the page. There are 8 steps to the registration process that will not take long to complete. All items with an asterisks (*) are required. Steps 1 – 3: Fill in your contact details and industry demographics. You will also have the opportunity to invite a colleague to the show. Please do so. We’d be happy to have them visit our booth as well. Step 4 – 5: You have the option to register for the Exhibit Hall and optional conferences. Our Promo Code grants you free entry into the Exhibit Hall. There are costs for the optional conferences. Step 6: You will see the total amount due. If you’ve only registered for the Exhibit Hall and used our Promo Code, entry is free. Step 7 – 8: You will be given payment options and a receipt for any paid conferences you wish to attend. Thank you for registering and we look forward to seeing you at the show!